The TGS Common Offset RTM gathers (COR) is a reliable and efficient technology targeting the velocity building in the hard-to-illuminate salt and subsalt regions. 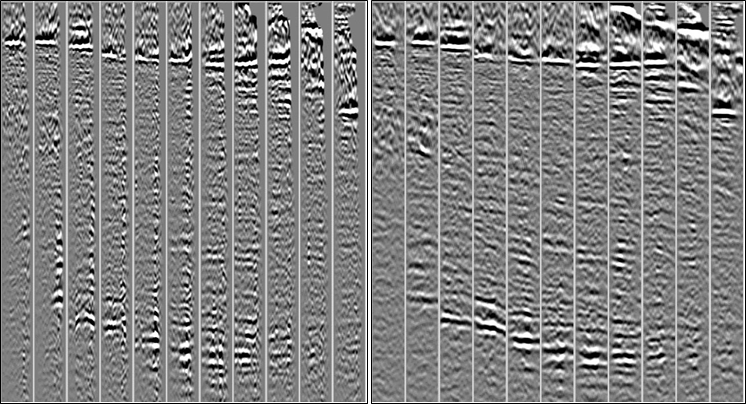 Common Offset RTM (COR) gathers is a new technique used to improve subsalt tomography updates utilizing TGS’ powerful RTM algorithm. 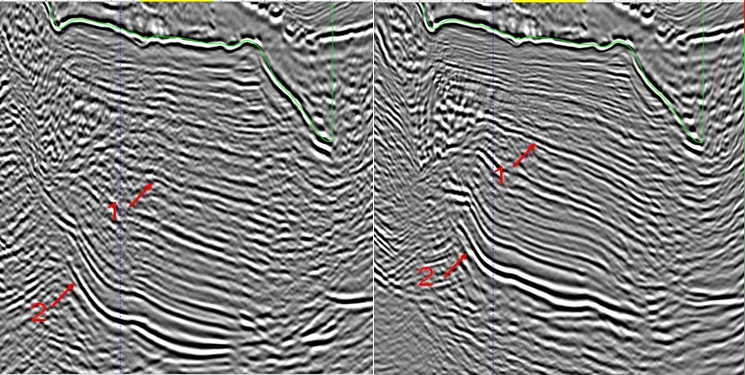 COR gathers often contain subsalt events spanning the entire offset range (i.e., longer usable curvatures for tomography). In COR, shot gathers are split into N minishot gathers, each with a limited-offset range, and then migrated separately before stacking to offset gathers according to their input offset range. COR gathers also have more reliable residual curvatures because each offset group is migrated independently and does not interfere with the neighboring ones. COR is proven superior in perspective of signal/noise ratio, illumination and accuracy for salt and subsalt region. Combining COR with the existing tomographic inversion engine can yield much improved subsalt velocity resolution.